Marinate beef for 1/2 day in sherry, soy sauce, oil, ginger root, cornstarch, salt and pepper. Cook beef slowly for about 1 hour. If using tofu, stir-fry until brown and then remove and soak in above mixture. Add bok choy and cook about 10 minutes. Add additional water if necessary. Thicken with gravy made of 2 TB cornstarch, 1/2 c. water, and 1 TB soy sauce. 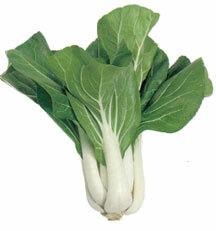 Serve bok choy mixture over hot rice.